Fethiye is quite important in terms of alternative tourism activities all over the place. A variety of sports, nature tourism activities have emerged as an alternative to a large area of ​​Fethiye, beautiful nature, structure, shed light on the nature lovers, both visually and culturally. 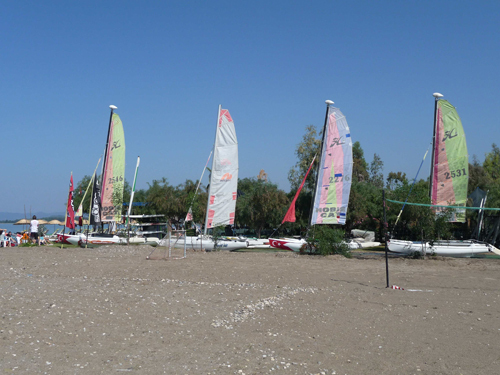 Fethiye wind, starting in March, continuing until the end of October .... Thermal wind and sea currents ... a highly organized, cliffs, sand dunes, sea, not the mother. Vessel traffic. Caretta-caretta sea turtles in the protected area. 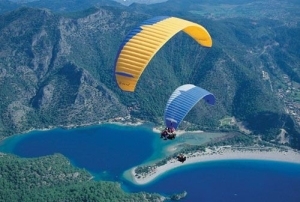 1,975-meter-high peaks of Mount Babadag, rich and common points to be carried out paraşütü.Termik slope, rising sea after takeoff even staying on the property wealth of the surrounding vegetation, beautiful Oludeniz insatiable scene, many of the seafront and a descending slope Babadag, paragliding center is unbeatable. Babadag, on the fourth runway and Fethiye, Oludeniz and Esen an interesting alternative to the valley of the dominant position of tourism in the world, because the whole movement. Over the world for paragliding so close to the sea and has a convenient location to another. The end of April, paragliding activity may continue until the end of October. Tanımınına this sport in our country, which has a great effect in Fethiye. By a large number of Fethiye travel agency for Tourism Ministry of Tourism and Sports of diving tours can be arranged by obtaining the Permit. In addition the Ministry of Tourism Management certified diving schools also organizes tours on-site diving resorts. 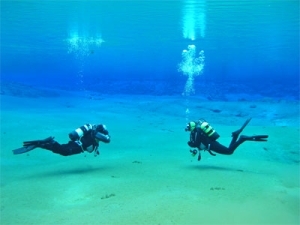 The rich flora and fauna, and those who want to explore the bottom of the mysterious sea diving training, and fitness as well as the opportunity to take pictures of Fethiye, favorable climate conditions, this activity be conducted twelve months. 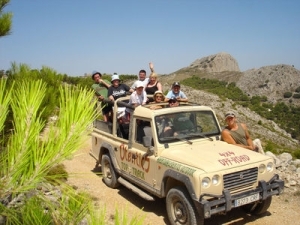 Located in Fethiye, travel agencies, tours to perform difficult barriers to overcome the different routes, the number of those accessing the mysterious beauty of wild nature and increasing every day, which attracts people of all ages are being used in this activity. 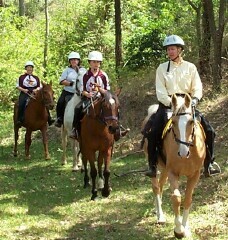 In recent years, the district is starting to see more interest in alternative sport horse riding. Especially in the vicinity of Ovacik, starting Kayaköy and a diverse and interesting than the thrill ride tattırmaktadır nature lovers. Taurus Mountains to the Mediterranean Sea, the route reached horseback ride is considered to be an opportunity not to be missed.